Regional workshops bring together IIS staff from jurisdictions in a geographic region to learn from experts and engage with colleagues to discuss shared issues. The purpose of the workshops is to provide IIS peer-to-peer support, mentoring, and specialized assistance. Funding for the workshops is provided through an AIRA Cooperative Agreement with the Centers for Disease Control and Prevention. Regional workshops include training from experts in the field and the opportunity to learn about developments at the national level and how they may affect your IIS. Equally important, attendees will have an opportunity to engage with colleagues from their region and discuss shared issues. 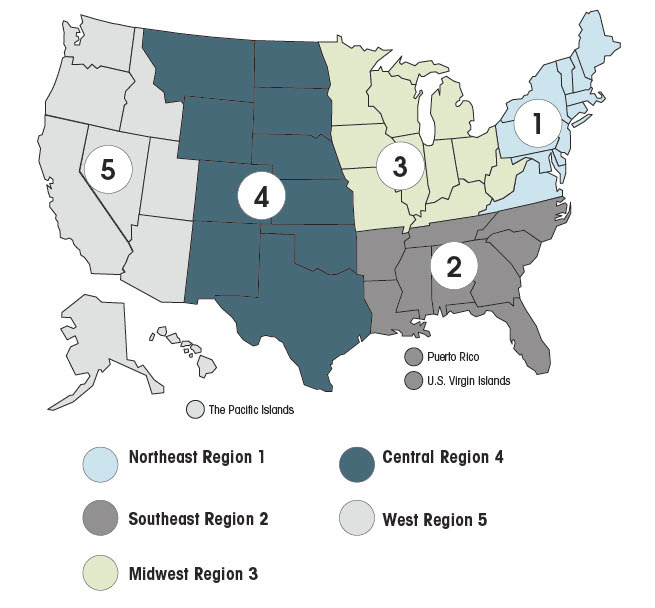 AIRA expects to host a Regional Workshop in each region every two years, with Southeast (Region 2) and Central (Region 4) Workshops scheduled for 2019. For more information about regional workshops, contact Beth Parilla.